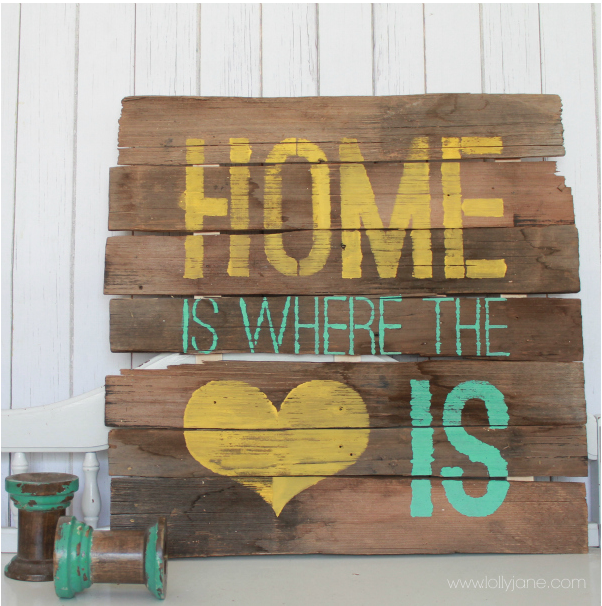 Making your own DIY Farmhouse signs can not only be a lot of fun but it can save you a ton of money if you get creative and use old wood scraps and some basic craft supplies! 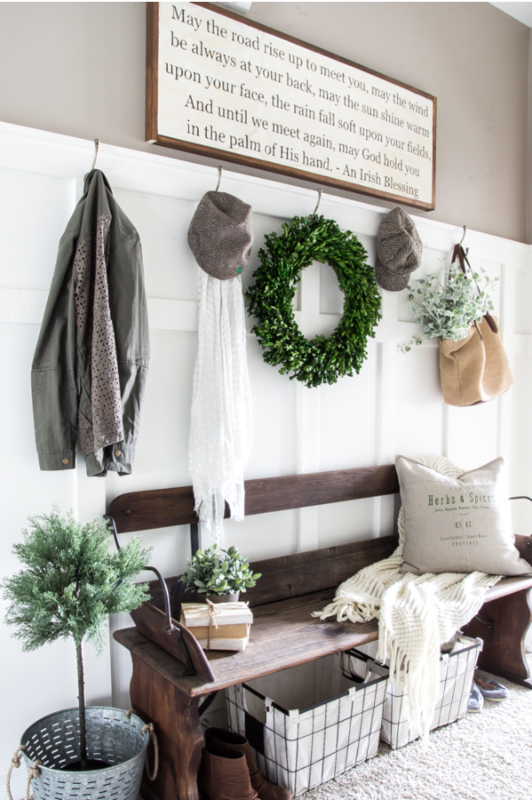 You don’t have to have shiplap walls to give your home a true farmhouse feel. 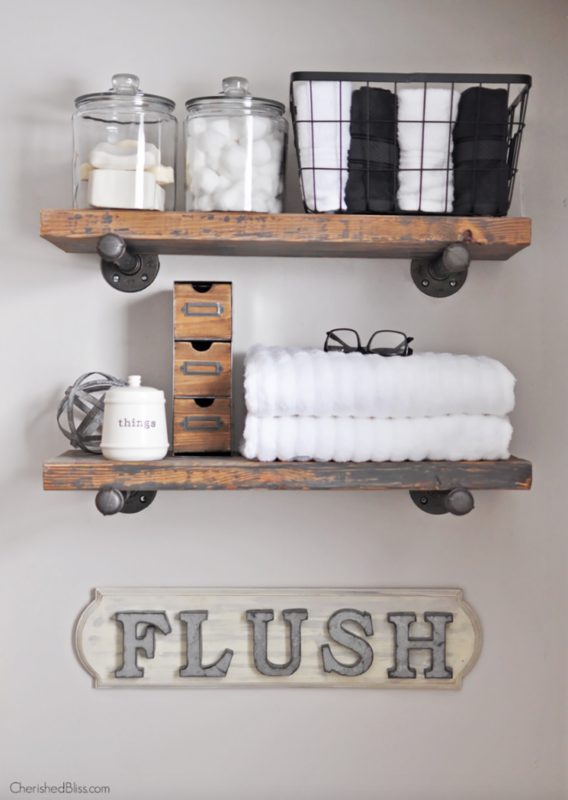 By creating simple projects like these DIY Farmhouse Signs, you can really help give your home that Farmhouse feel you’ve been looking for. And the best part about it? It will cost you next to nothing! 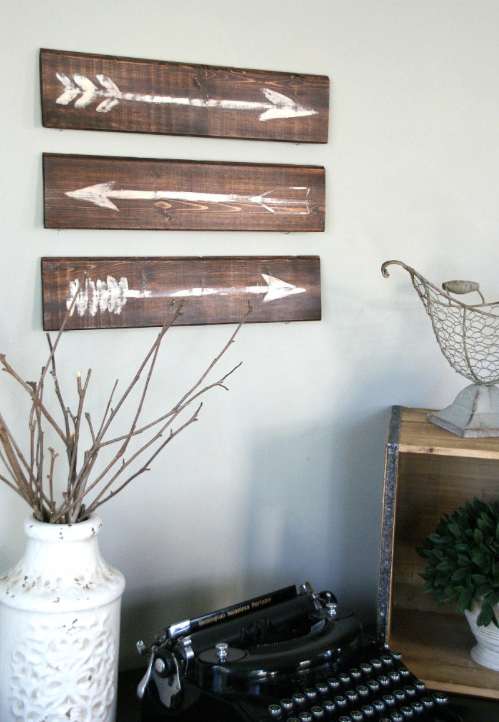 Furthermore, these farmhouse signs add character and charm to your home and are a great statement piece for any room in your home. 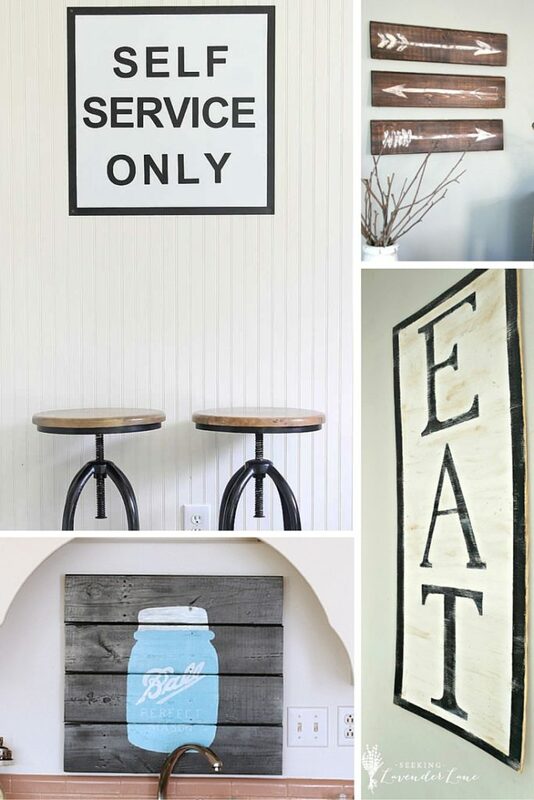 Read on to see all 15 DIY wood signs and learn to make your own sign for a room in your home. For more DIY projects please check out all of the DIY inspiration and projects we have to share! Simple and elegant. 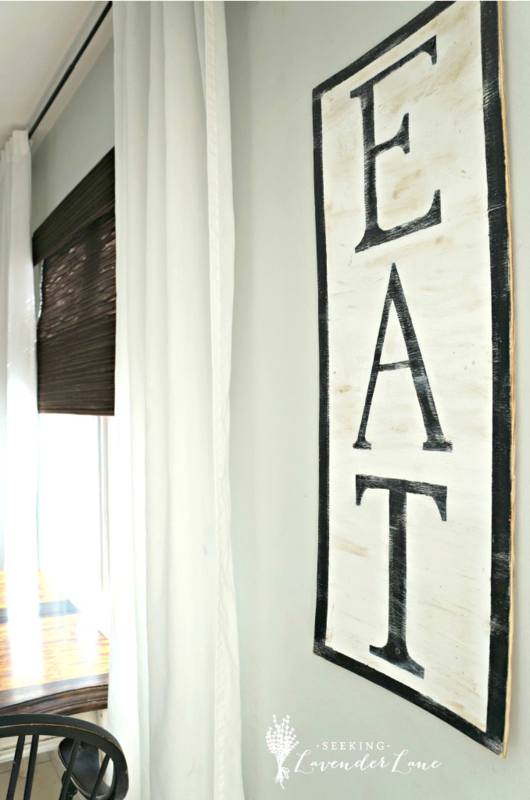 This farmhouse sign is made to impress in a minimalist sort of way! Why not find the lyrics from a meaningful song and turn it into a gorgeous and large sign. 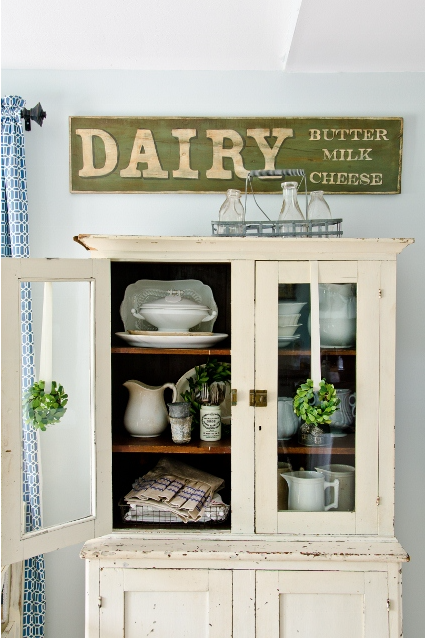 You don’t need words to make a great farmhouse sign. What about arrows? This is a great way to learn to make signs if you’re nervous about starting off with words. Nothing like a welcome sign to greet your guests. 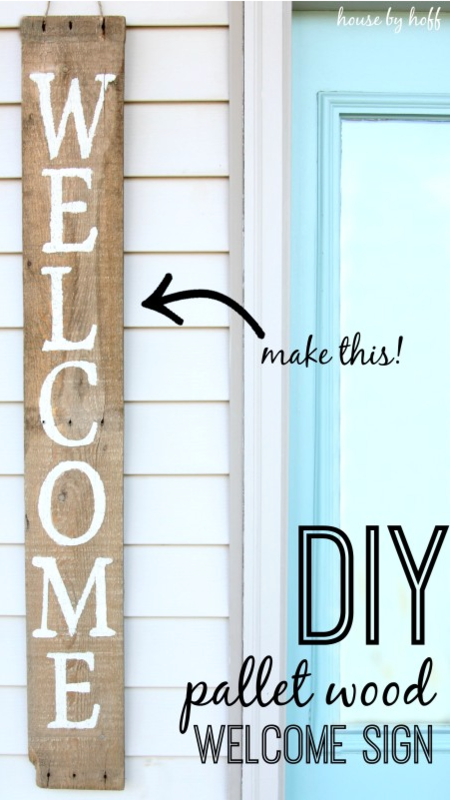 Make a giant and simple front door farmhouse sign. I bet everyone that visits will be talking about your fabulous front door sign! Huge signs are in and this one is a perfect example of this. Choose your favorite words like Coffee & Tea, Kitchen, Farmhouse, Market Place and turn it into a giant piece of farmhouse greatness. Rather than using plain white and black, why not try mixing some antique colors for a beautiful and traditional farmhouse sign? 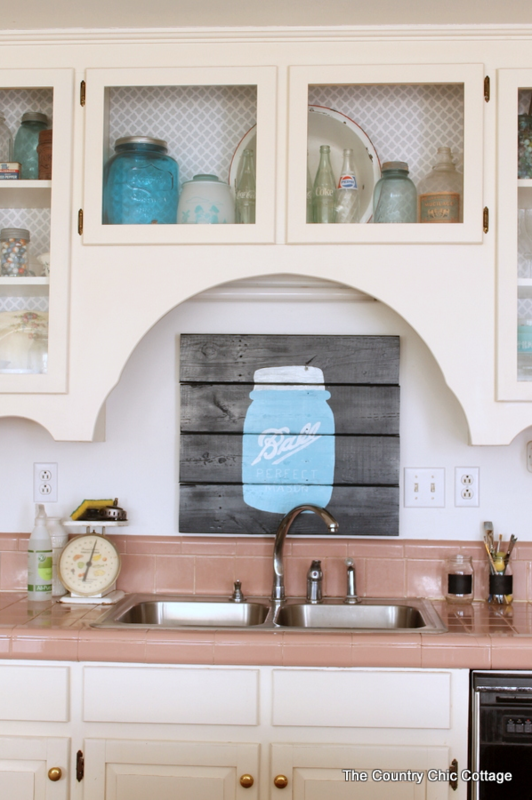 Ball Mason Jars are so hot right now and this beautiful Ball Mason Jar wood sign is perfect for any farmhouse setting. 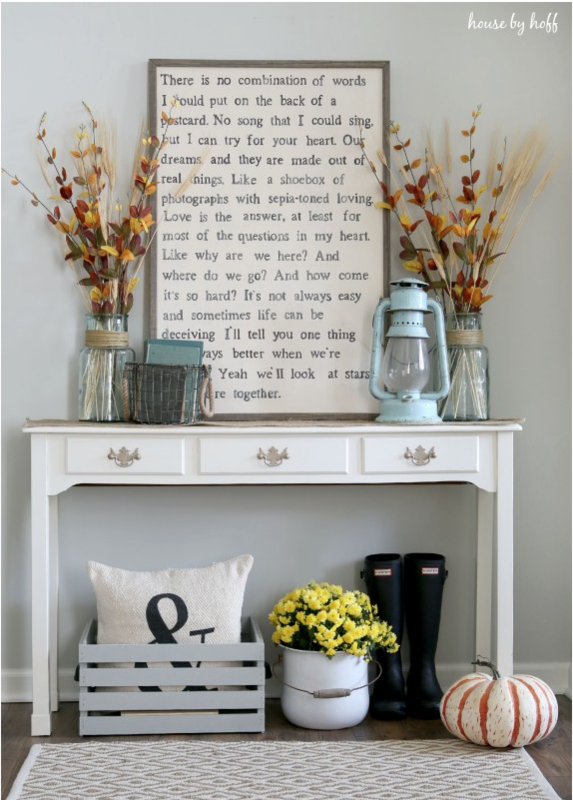 Find a cute saying and use some bright colors to add a touch of fun to your farmhouse decor. 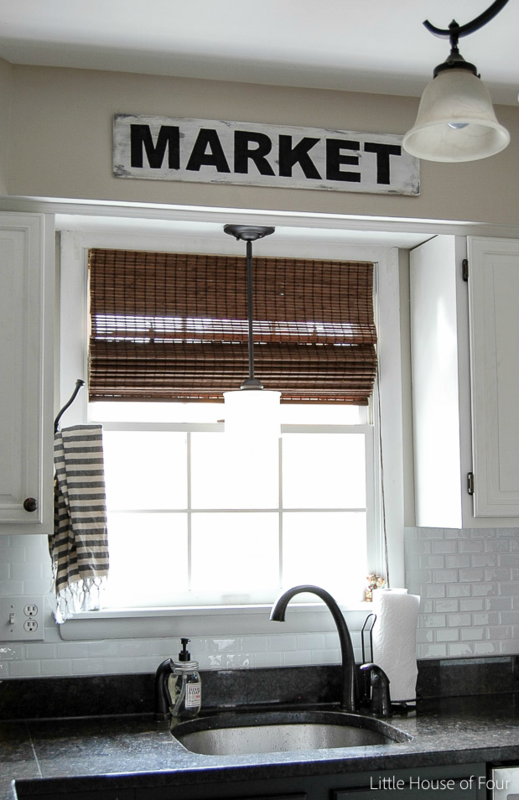 Keep is very simple with a “Market” sign for your farmhouse kitchen. 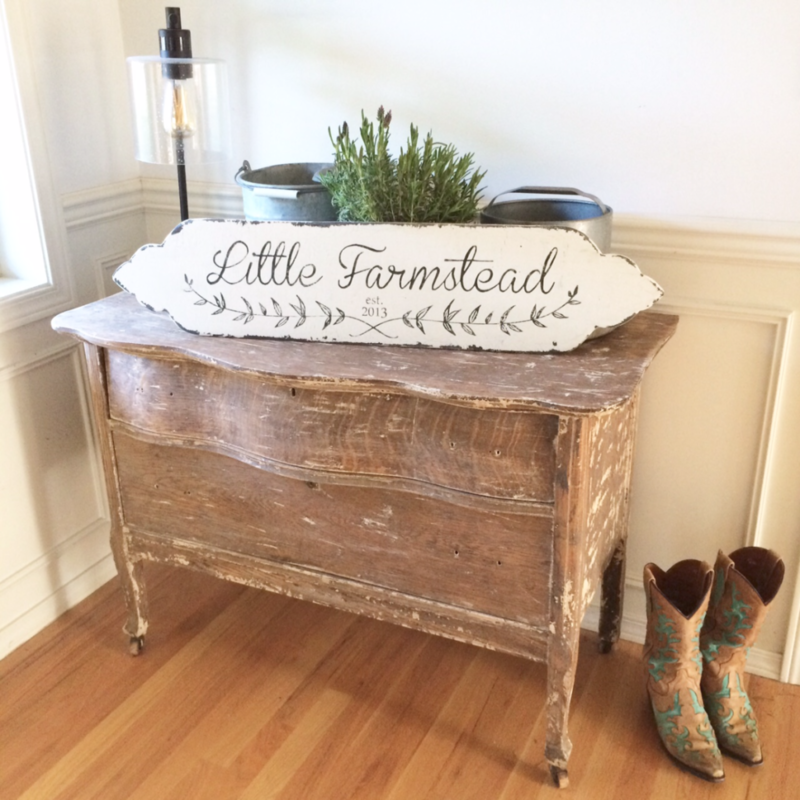 Choose some pretty cursive lettering and create a beautiful traditional farmhouse sign. Word with creating some new shapes for your sign like this one. Another beautiful and simple sign for your kitchen. Got crazy! No farmhouse lover will judge you! As you can see I have a love for simple black and white farmhouse signs and this “Farmers Market” sign is no exception! It will just bring the wow into your desired space. 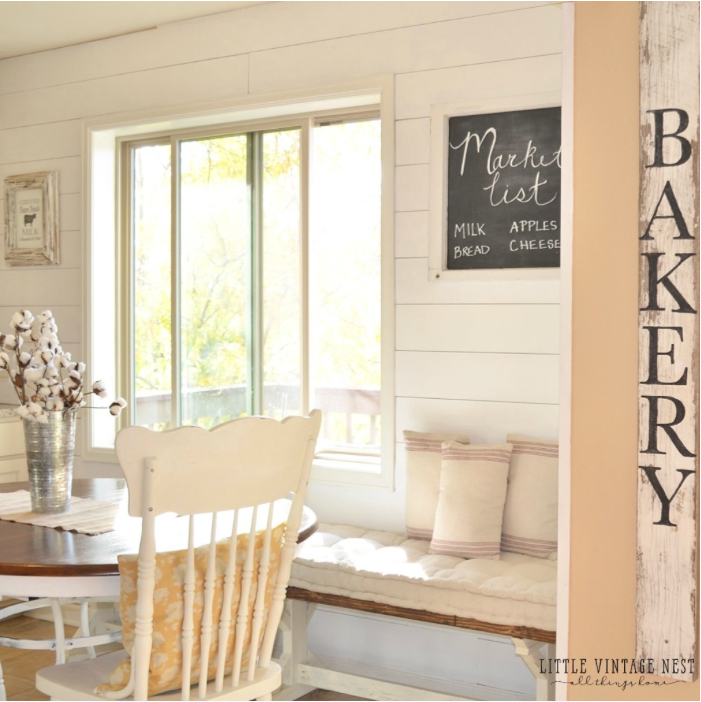 If you find yourself short on time or love Farmhouse signs but do not want to go to the hassle to make one then you may love these pre-made Farmhouse signs I have chosen! These are all gorgeous, Maria! Thanks for including our arrows :). These are all so cute! 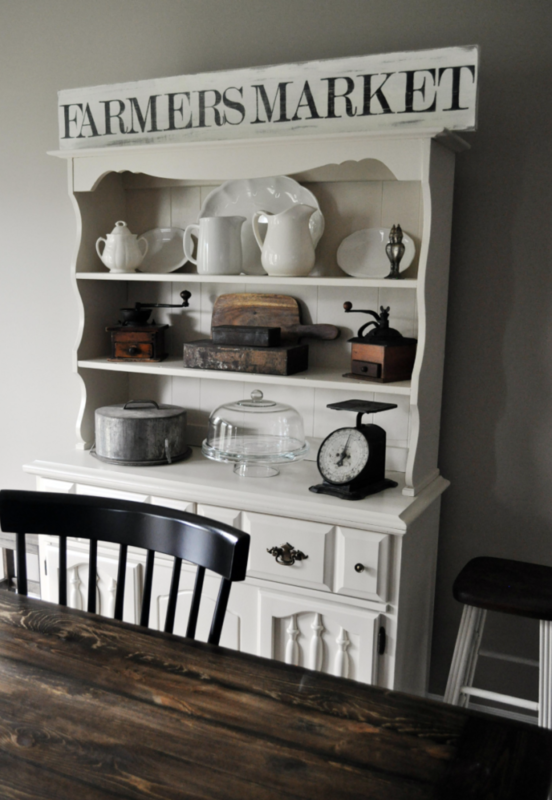 I love farmhouse decor and I want to incorporate it into our new house, so this was the perfect post for me! Thanks for sharing all these other posts on signs. Now off to read those. Can’t wait to see what you come up with when you make one. 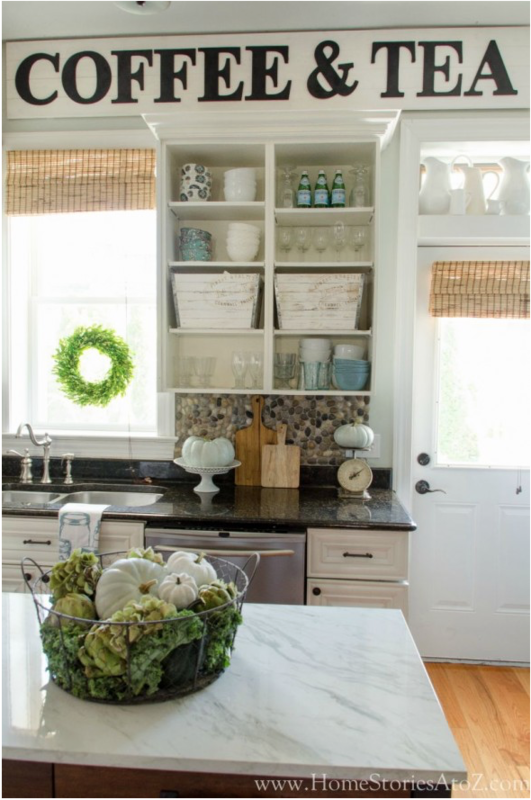 My kitchen and dining room are in need of some beautiful market signs and this list you pulled together is so inspiring. My favorites from this list are, EAT, Dairy, and the arrows. I need to pull out my Cricut and learn how to use it so I can recreate some of these beauties for myself! What a great collection of signs! I love them too and have to pause and keep it to one word sign or pic per room or I would fill my walls with them…hmm, but that would be kind of cool in one room…just a wall full of quotes on different signs! I love all of these ideas. 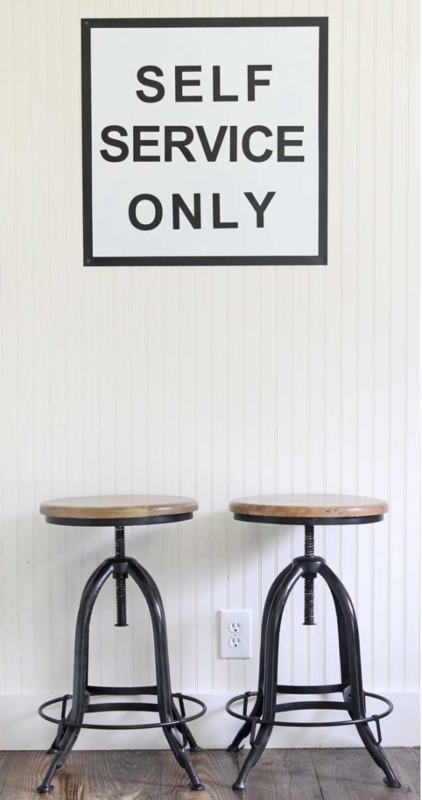 Signs add such charm to our homes and these are sure cute. Love this! Thanks for making a round up of these – I’ve adored the look of them for some time but didn’t want to spend the money to buy a pre-made one. These are really great and look like a lot of fun to make! That welcome sign is so much fun. Now I want to scavenge our scrap wood to make one of these too! Love this roundup! I want every single sign for my home lol. Thank you for sharing at Merry Monday!! Thank you, I love the signs. They are on my list. You are so loaded with talentl I love everything you do! Will be doing atleast one of those signs. These are really cute signs! I’ll have to make some of these for my home for a more rustic feel. Thanks for putting this together!